leads her horse down these same paths. with snakes to make him tame. I’m working with Peter Reavill, the Regional Field Officer of the PAS – Portable Antiquities Scheme, looking at ways of developing a project. 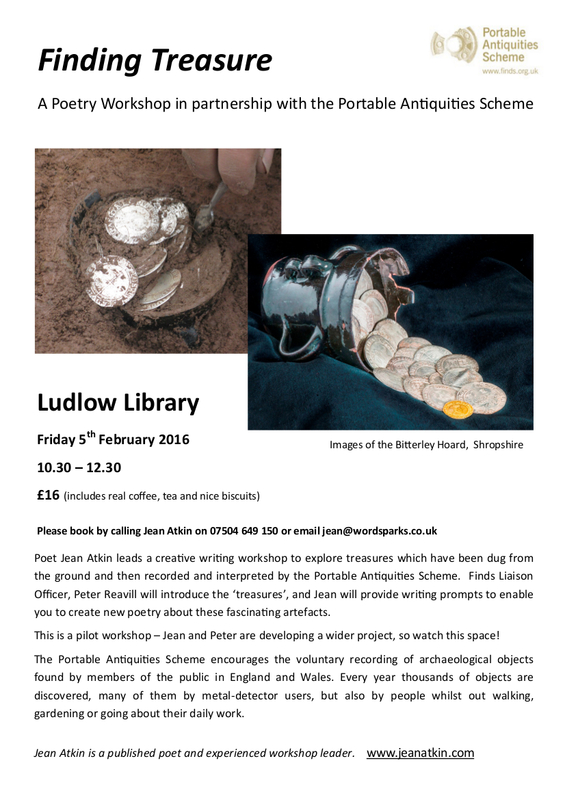 I’ve written some poems about artefacts dug up here in Shropshire. The extract above is from one of them – about a bronze Viking pendant dating from the 8th to the 11th century. 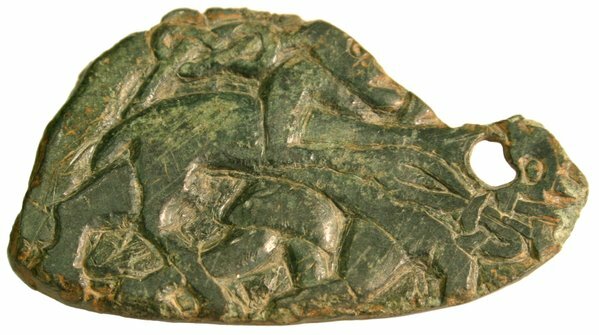 It was found near Oswestry, on the very edge of the Danelaw. It was an object signifying cultural belonging, and was probably a good luck charm. Our next activity though, is to offer a Poetry Workshop: Finding Treasure at which Peter will introduce some artefacts, and I will provide creative ways into writing about them. It’s booking now – do reserve your place quickly!